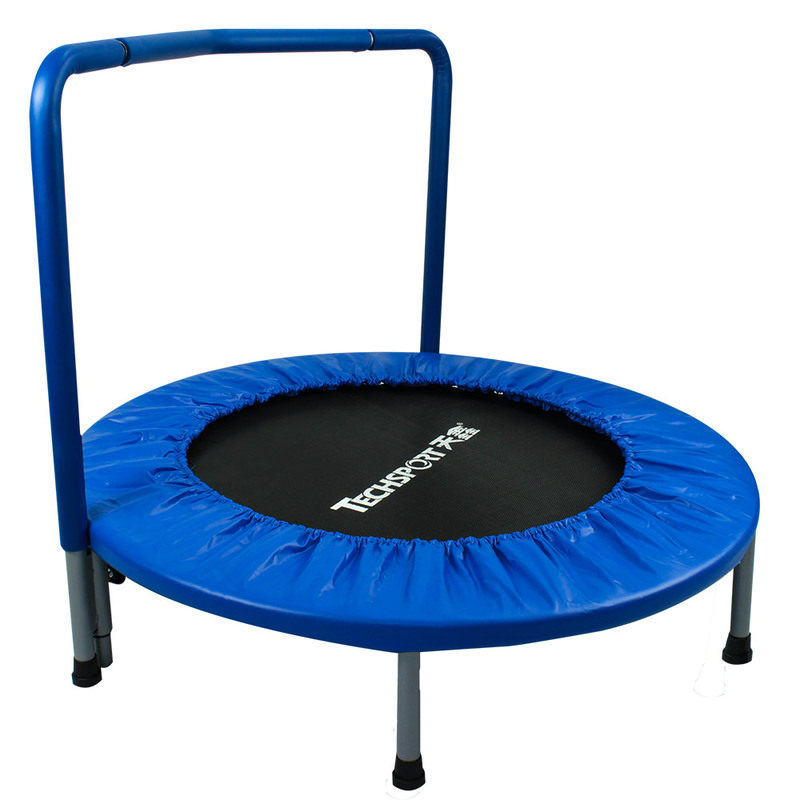 Strong lightweight trampoline with a very stable base for low impact exercise. 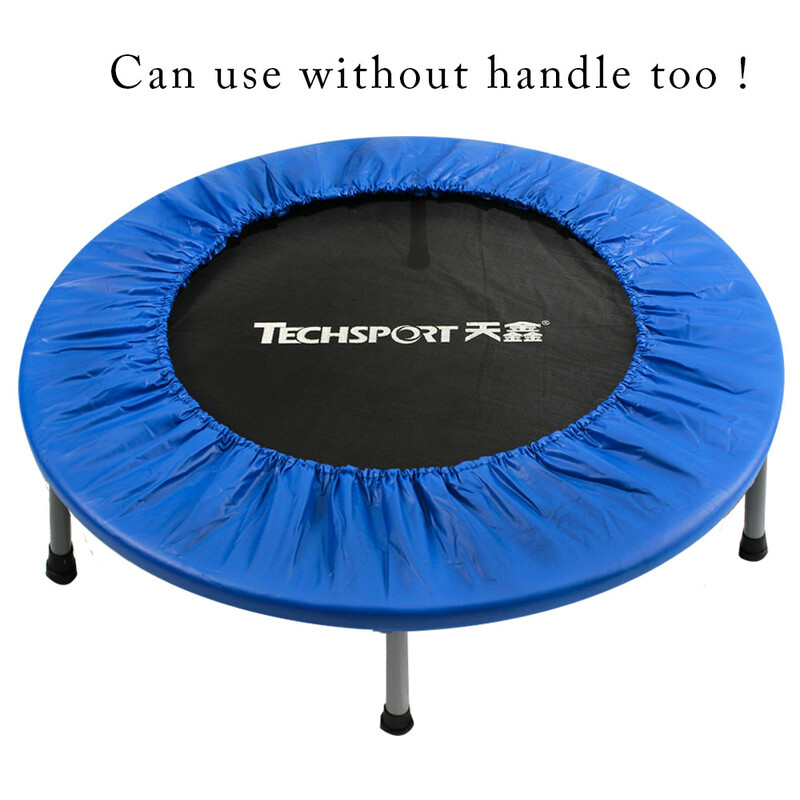 This Techsport 36" Trampoline use metal springs for long lasting and extra weight. - Trampoline has a durable mat and tubular steel frame with a durable coated finish. - For extra safety, the padded cover around the mat cushions the frame and prevents children from stepping through the bungee cord. -This trampoline supports up to 100 KG! open up the frame, screw on its 6 legs, and bold on the handle (Adult assembly required).